Hey guys – Tall Paul Fabbi needs a steel player for his River Country band Feb 24th, playing in Crete IL, the show is 7 - 10 pm and set up at 6 pm. Please call either Tall Paul at 708 420 5223 or S. Richard Alderson at 773 8656 to discuss pay, receive a set list and have your questions answered. There could be future considerations as well. 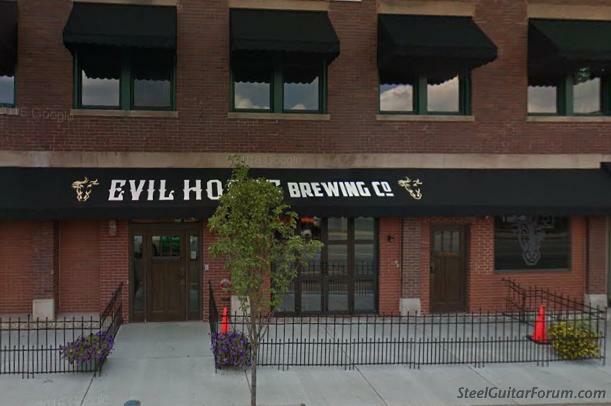 The gig is at the Evil Horse Brewery in Crete IL, 40 minutes south of downtown Chicago. Songs include Long May you Run, Heard it in Love Song, lots of Dwight Yoakum and country standards. Tall Paul has a loyal fan base and a real connection to the audience. The audience will treat you like family and I can guarantee whoever it is that plays this gig, that you’ll be glad you did. If you have any tips for me or players you think might be interested, please let us know, call Richard at 773 573 8656, this gig HAS to have a steel. PS – Our own Karl Paulsen from the forum plays bass for River Country. Karl has been studying pedal steel now for two years and loves the instrument. He has got himself that 5x4 Encore from Doug Earnest.